The rest of the hair dye box is then donated. 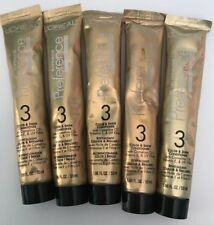 Lot of 5 L'Oreal Superior Preference Color and Shine Conditioner with Each tube contains 1.86fl Oz. Tubes total weigh 2.0-2.1 Oz. 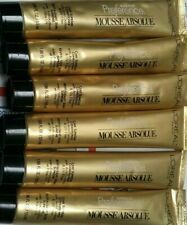 Lot Of 6 L'Oreal Superior Preference Mousse absolue Hair care supreme Conditioner 1.86 OZ EACH Tube. Lot Of 5 L'Oreal Superior Preference Mousse absolue Hair care supreme Conditioner 1.86 OZ EACH Tube. New! 3 tubes of Loreal Superior Preference Care Supreme Conditioner and 2 tubes of Excellence Creme Conditioning Treatment Ready for immediate shipment – we ship fast! Thanks for looking and we welcome any questions. Color Shine Conditioner. 7- L'oreal Superior Preference. Lot of 3 new hair conditioner. L’Oreal superior preference care supreme. After color conditioner. (5) L'Oreal Superior Preference Color & Shine Conditioner Unopened. No foil seals because box dye conditioner tubes generally don’t come that way. Ships in bubble mailer (padded envelope) to keep shipping cost down. The rest of the hair dye box is then donated. Lot of 3 L'Oreal Superior Preference Color and Shine Conditioner with Each tube contains 1.86fl Oz. Tubes total weigh 2.0-2.1 Oz. Quick Look : Loreal Superior Preference Color & Shine Conditioner. 4 L'Oreal Superior Preference Mousse absolue Hair care supreme Conditioner 1.86 OZ EACH Tubes. Lot Of 3 L'Oreal Superior Preference Mousse absolue Hair care supreme Conditioner 1.86 OZ EACH Tube. Lot Of 2 L'Oreal Superior Preference Mousse absolue Hair care supreme Conditioner 1.86 OZ EACH Tube. COLOR & SHINE CONDITIONER. SUPERIOR PREFERENCE. YOU WILL RECEIVE: 10 TUBES. Hello up for sale: 4 Loreal Paris Superior Preference Care Conditioner tube 1.86 oz #3 - L'Oreal - New unopened. Five 1.86 oz Tubes. We are here to help, if you have. Established since 2011. VALLEY FASHION AND THRIFT. You will receive 2 tubes of Loreal Superior Preference Care Supreme Color Saving Conditioner 1.8-1.7 fl oz. as shown per order. Condition is new without tags. 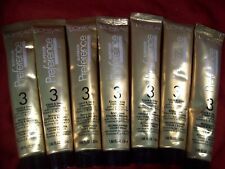 5 L'OREAL Superior Preference Color & Shine Conditioners #3 New Tubes 1.86 oz . Condition is New....You get all 5 ....Shipped with USPS First Class Package. 2 tubes of 1.86 oz / 55ml. COLOR SAVING CONDITIONER. SUPERIOR PREFERENCE. Up for bid is a lot of 3 - L'oreal Superior Preference Color Shine Conditioner, 1.86 Fl. Oz. Each. And 1 no . 3 Loreal Excellence replenish and deeply Condition 1.6 fl oz . Condition is New. I have 5 of these, not 3. For all hair types. Each one will last you 6 weeks. You'll never want to use anything else. I've found it makes my hair curlier, doesn't drag curls down or make hair feel limp. ..Lot of 4 L'Oreal Superior Preference Conditioner •#3 Care Supreme Color & Shine Conditioner •Each Tube is 1.85 FL Oz (55ml) Contains Camelina Oil, Vitamine E & UV Filter •Use once a week on color treated hair •New •Please feel free to contact me with any questions. 2 Superior Preference Conditioner. 1 Excellence conditioner. Just type the item you are looking for in the search bar and you will get all results. best of my knowledge. I always appreciate communication. Gender: UnisexSize: Less than 3.5 oz. 4 TUBES OF LOREAL SUPERIOR PREFERENCE CONDITIONER COLOR & SHINE W/ CAMELINA OIL. You get exactly what you see in image. L'Oreal Superior Preference Color & Shine Conditioner, 8 new, unopened tubes from the boxed hair color kit. SUPERIOR PREFERENCE. COLOR & SHINE CONDITIONER.4 X 1.86 FL OZ / 55 ml TUBES! VITAMIN E & UV FILTER. L'OREAL SUPERIOR PREFERENCE #3. 3 NEW TUBES 1.86 oz. THIS ITEM IS AN ESTATE SALE FIND AND IN NEW UNUSED CONDITION. YOU WILL RECEIVE. 4 Revlon Colorsilk After color conditioner with apple extract. 1 Revlon Colorsilk After color conditioner with apple extract. 2 Garnier Nutrisse Nourishing Conditioner 1.35 FL. 1 Loreal Preference OMBRE powder.